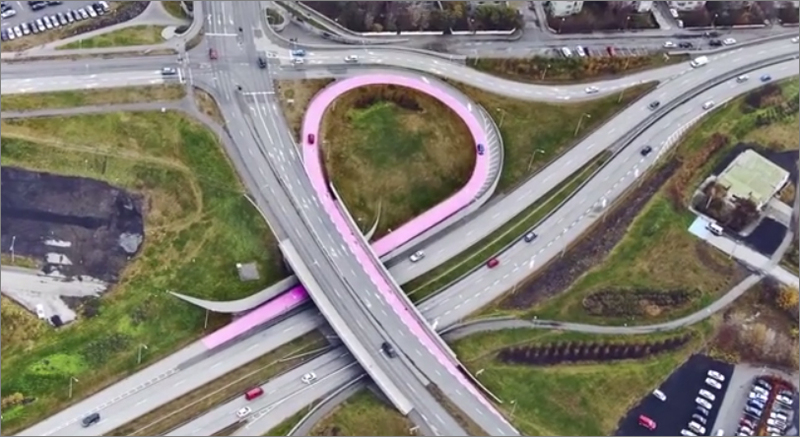 Drivers heading downtown to Reykjavik were in for a surprise as they entered the looping the on-ramp for the Miklabraut (the highway that connects the suburbs to the city centre). The bland grayness of the asphalt had been transformed to a vibrant bright pink overnight. It was part of the campaign to raise awareness of breast cancer, created the ad agency Brandenburg.